In New York, architects’ achievement attributes to market and architectures attributes to capital. How to survive in a world that crowed with numberless competitors and to attract capital is an essential problem architect are facing with. What distinguishes successful architects in New York from others is the acute sense of capital and shifts of the market. Moreover, these achievers are more likely to use 3D rendering technology to showcase their works, as if there is a little magic in it. It was nine years ago that American suffered a disastrous financial crisis. Fortunately, the architecture market has been recovering from the serious injuries, which is going to offer real-estate developers considerable opportunities but also challenges. Recently, New York became the biggest beneficiary and the best choice for capital under the background that unstable European economy became weaker because of the Britain’s referendum to draw back from the European Union. What’s more, rich Chinese investors would more likely to put their money in the overseas market. Besides the global economic background, New York’s charisma attracts talents and high-flyers from all over the world. 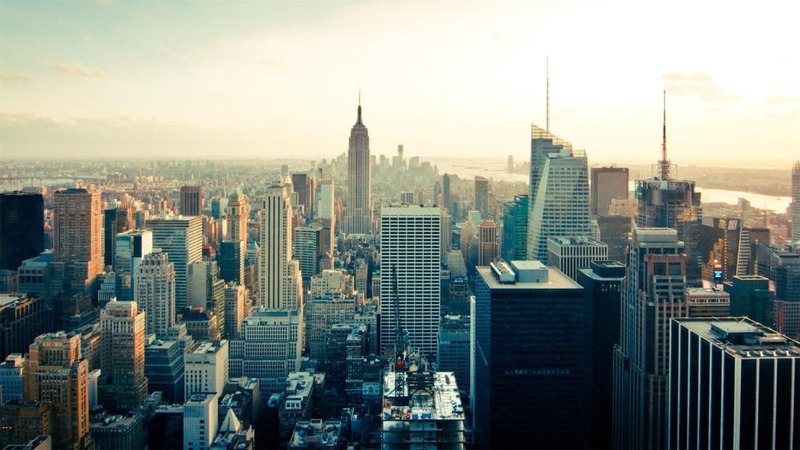 Consequently, real-estate market in New York is a golden choice for investors. 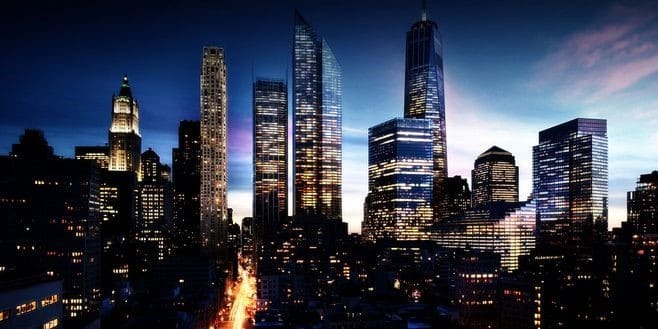 More and more under-building luxury buildings and supertall condos appeared in New York can prove it because there is no doubt, the tendency of building residents is the consequence of the quick development of the market. As we can see from new buildings have been completed in New York, there are two types of constructions are most popular: the one is CBD buildings like Hudson Yards and reconstruction of WTC; the other is luxury residents designed by star architects. As for the second types, we can put forward many examples: VIA57 design by BIG.inc; 432 Park and 125 Greenwich designed by Rafael Vinoly; 56 Leonard Street designed by Herzog de Meuron; 565 Broom Street; West 57th Street Tower and New York by Ghery, let alone those super luxury residents that spring up like mushroom one by one on the High Line Park. Especially, 520 W 28th Street, the last work of Zaha Hadid, was appreciated by worldwide consumers. On the other side, how to showcase design work becomes a problem for architects. To some extent, this kind of post-modern architectures is peculiar for their eccentric facades. People find it very difficult to imagine the whole picture of a building when it is under construction. Architects also face more and more difficulties to show their work vividly by using a sand table, much less how to attract capital. Some successful architects choose to embrace new technologies—-3D rendering to respond. They cooperate with 3D rendering companies and these companies offer some 3D pictures to express architects’ designs and the connection of construction and environment. Zaha Hadid Architects, a famous architectural stadium, think highly of 3D rendering service offered by a 3D rendering company. They cooperated with AIMIR CG, a top-class 3D visualization company, on a project in Shenzhen, China and eventually, they won the bid. To be famous is a good way for architects to strive for capital. Stat architects become more and more important for real-estate developers under severe competition. The name of star architects also becomes a promoting tool which used by investors to sell their buildings. However, a marvelous design might not enough to catch people’s eyes and make them like it. You will be beaten in this severe battle by competitors who use 3D architectural renderings while you are using the sand table, masterplan to showcase your works, describing the features of your design with common words. People who are lack of relevant knowledge about architecture will feel a construction in a more direct and subjective way. Only after they can connect the design to their experience of daily life can they create emotional resonance. Using 3D housing renderings, you can show the viewers a picture presenting the full splendor of your design and make them like it and you. How to respond to the changes of the market? I will give you some examples. 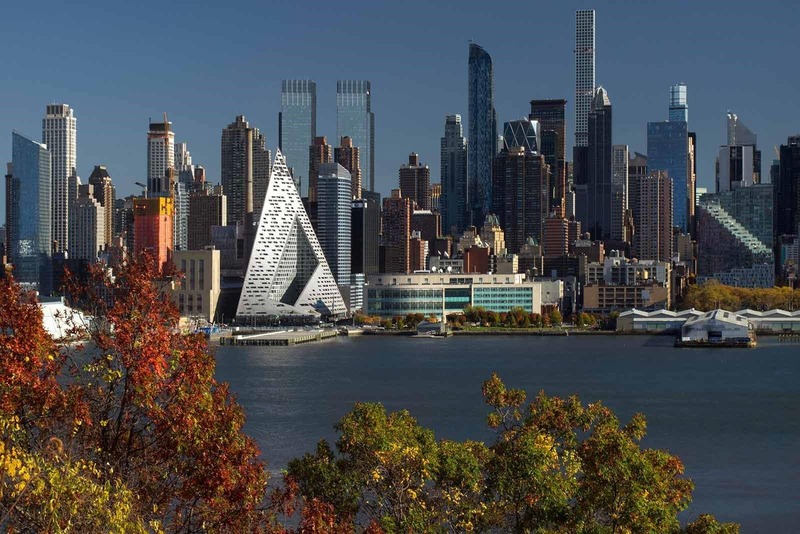 BIG-BJARKE INGELS GROUP, an innovative architects group, inroad the New York market with the VIA57 project by cooperating with a 3D rendering company. With a lot of modernism skyscrapers gathering around, VIA57’s triangle facade is really an audacious design. Thanks for 3D rendering technologies, they could make investors understand their design and feel its peculiar beauty. To fulfill investors’ demands in a more effective way is the main strategy of BIG. That is to improve bilateral communication. Architecture rendering becomes the most suitable way to strengthen the bilateral-understandings between investors and architects. BIG has gained its reputation from some famous projects such as The Big U (2014), The Spiral Tower (2016) and so on. When architects groups own first-class design ability, the next thing is to present their works in their full splendor. Thus, behind a successful architect, there must be a 3D rendering company to offer supports. Studio Piet Boon is professional in exquisite projects like 10 Bond Street Residents and they think highly of design quality. In addition, they have their own specific client base. Professional experience of exquisite projects allows Piet Boon to responsible for gut renovation in New York. 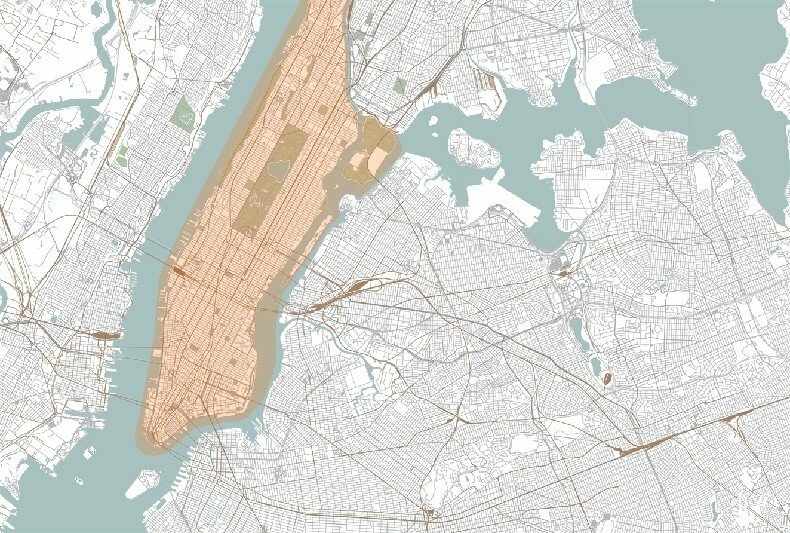 In New York, there are many constructions with excellent location are sold and their façades are not allowed to be changed because of history and construction standards. Every change has to be permitted by the Department of Building. In this case, real-estate developers consider the history of these buildings as a selling point and work along Piet Boon redesign the interior of a building. 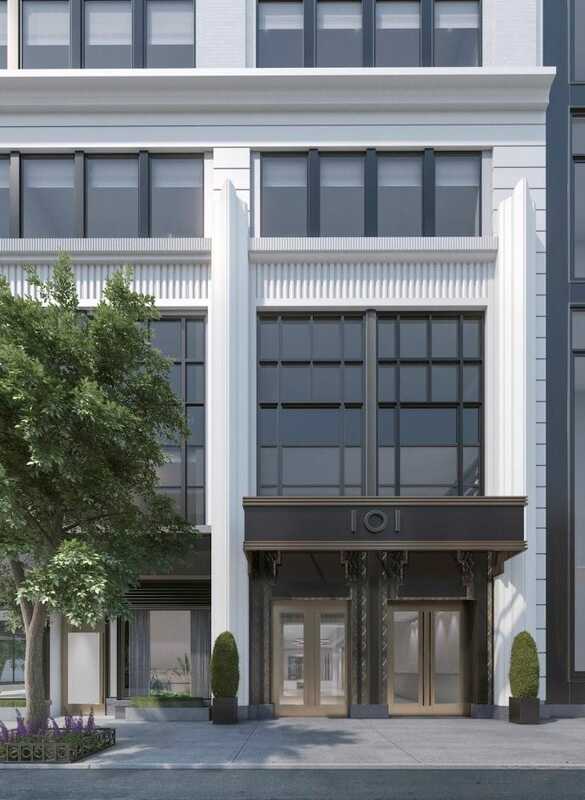 101 Wall Street is a good sample: locating in a district where towering some historical constructions like Statue of Liberty, Brooklyn Bridge, and Woolworth Tower, it is actually the reconstruction of an old building that could date back to the 1930s. Except that the function of the building has changed, the surface and pictures in the hall have remained. This kind of architects will gain a lot of quality opportunities. In order to present total different, modern interior design of constructions with old-fashioned surfaces, the designer needs interior 3D renderings to handle the job. Architects need to do further study on the capital operation and architectural exhibition. A number of architects seem that they have no concept of the leading power of capital in this market. In past few years, I have kept pondering the deficiency of architectural education. And I find out the fact that many architects who master professional skills graduated from school, not knowing the logic behind this capital world. They know how to design, but what they don’t know is where the money comes from and how to make both parties—developers and customers feel satisfied. What’s more, these inexperienced architects don’t know how to express their ideas in a more comprehensive way, not to mention how to capture investors’ attention. Gold buried in sand will not be appreciated by anybody. It is the same when it comes to architectural design. Fortunately, 3D rendering services will help them a lot. The whole picture of a design, the connection of construction and surroundings, and the virtual reality of visitors will be presented vividly, which enables investors to enjoy the imposing view even before the building is completed. Tomorrow, money will flow to star architects, excellent design, famous brands, and best presentation of the design. And the tendency will motivate architects to have more cooperation with architectural visualization companies like AIMIR CG. AIMIR CG is a 3D architectural visualization company aiming at offering the first-class 3D rendering picture and interior 3d renderings. If you want to be more competitive and won more bids, please cooperate with us with no hesitation. Wish all our clients more successful in the future. Indeed, nowadays the competition is ferocious. If an architect fail to keep the breast of the change, he will lose a lot. I would like to have a try about 3D rendering. Congratulations! You choose the right way! AIMIR have confidence to fulfill your needs. Our 3D rendering are cost-effective and top-class.